With such large inventories of residential foreclosed homes, buying properties for up to 50% off out on the market and at auction has become a common occurrence. Our listings of residential property foreclosures are updated as soon as a bank gives notice that a mortgage is in default. Every property is listed well below market prices, just to cover the money lost. 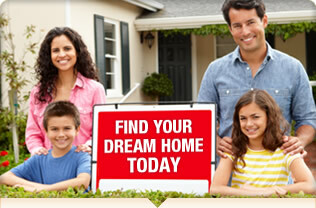 Be the first to find these incredible properties before anyone else with a membership to Foreclosure-Support.com. Residential property foreclosures include everything from single family foreclosures to multi family foreclosures. Your options are limitless - whether you are investing in foreclosed real estate to make a quick profit, or to find your next home. Not only will you find residential home foreclosures for sale at Foreclosure-Support.com, but you will also discover for sale by owner properties before they go through the final stage of foreclosure. While searching through our residential foreclosure listings, you will see luxury condos, townhouses, manufactured homes, duplex foreclosures, and so much more. If you are an investor looking for your next opportunity or an apartment dweller looking for a deal on a house, our listings of residential foreclosures for sale are the best place to find exactly what you are looking for.